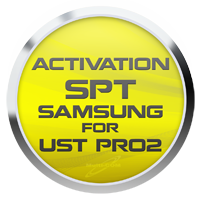 Activation SPT for UST PRO2 you can activate SPT Samsung Professional Tools on Your old UST! If you got your old UST PRO2 on shelf and dont use it long time then it's tiem to back it to work. Ofcourse after update you can use full support access of SPT. Logs UST PRO 2 RPL (IMEI Repair) allow you to repair demaged IMEI in Samsung 3G phones. For use this service you need to read log from your phone using UST PRO2 or UST PRO2 LITE (available with leatest version of UST software) and after recive from us generated RPL upload to yoru phone.